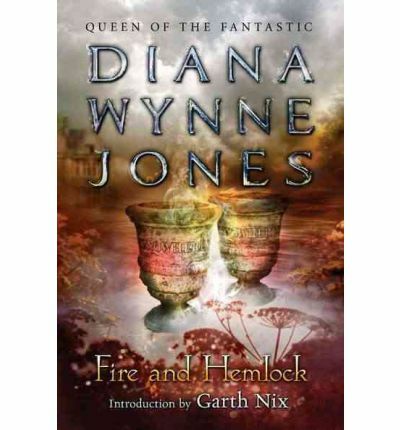 This is Diana Wynne Jones' modern retelling of the Scottish ballad of Tam Lin, a story of fairies, trickery and love. Polly is a college student who is slowly regaining memories about a part of her life that was completely forgotten. The thing is that she has alternate memories of events for the same time period, which implies that the other memories were taken from her forcefully. As Polly remembers, she discovers that she might have been responsible for ending a unique friendship and losing something precious to her. And the answer seems to lie in the photograph she has on her bedroom wall, one of fire and hemlock. Share your Fire and Hemlock love today! This is the DWJ book that I find the most frustrating. I've read it twice, I think, and I just don't get it. I guess I'm one of those readers who wants things explained a little more! 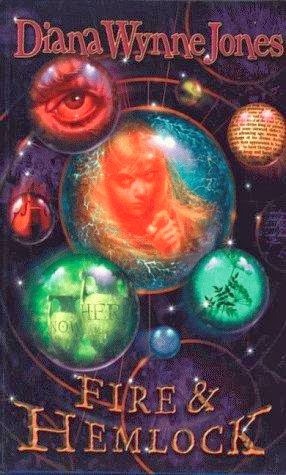 I think I should reread it now (it's been a long time) and see what I get out of it. I love A Chair, A Fireplace etc's suggestion to read all the books Thomas gives Polly. That would probably enhance the experience significantly! This is definitely her hardest book to follow of all of the ones I have read. It takes two or three or four or more reads to really nail down what happened. It's not only one of her speediest endings but also probably the one that gives the fewest direct answers to what exactly was going on. I found that it really helped when I read Tam Lin and Thomas the Rhymer along with it. I know she references so many more stories in F&H but these two help with the main framework of the story and the ending. Oh this BOOK. You know my views on this book. I just love it so, so, so much. I was just the other day thinking about how much I loved Fiona's dislike of Seb, and wishing there could be a deleted scene of Fiona and Seb and Polly having an uncomfortable lunch together. I have never created deleted scenes for any book in my head. I love it!